The NRS Flux Drytop's innovative waterproof-breathable Eclipse™ fabric and action-cut design gives kayakers the ultimate combination of dryness, durability and comfort. 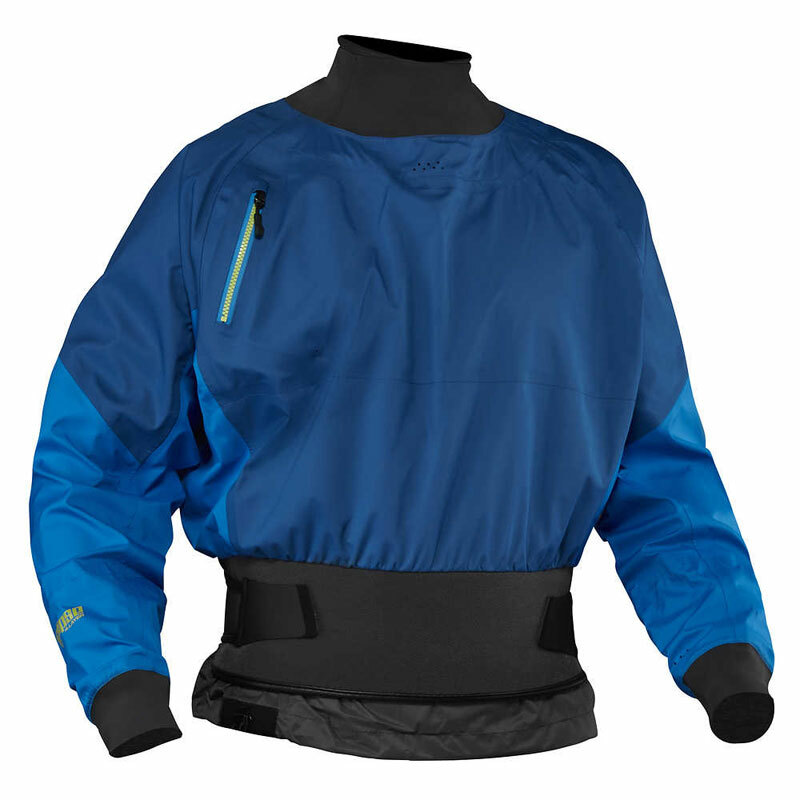 The NRS Flux Drytop is a high performance breathable drytop designed for white water kayaking and canoeing. The Flux Drytop’s innovative waterproof and breathable Eclipse fabric and action cut design gives kayakers the ultimate combination of dryness, durability and comfort. The 4-layer Eclipse fabric, with its proprietary waterproof-breathable barrier and Nanosphere® DWR finish lock water out while letting moisture escape. The supple polyester microfiber shell allows frictionless paddling with superior resistance to puncture and abrasion which makes the Flux one of the best performing dry tops available. 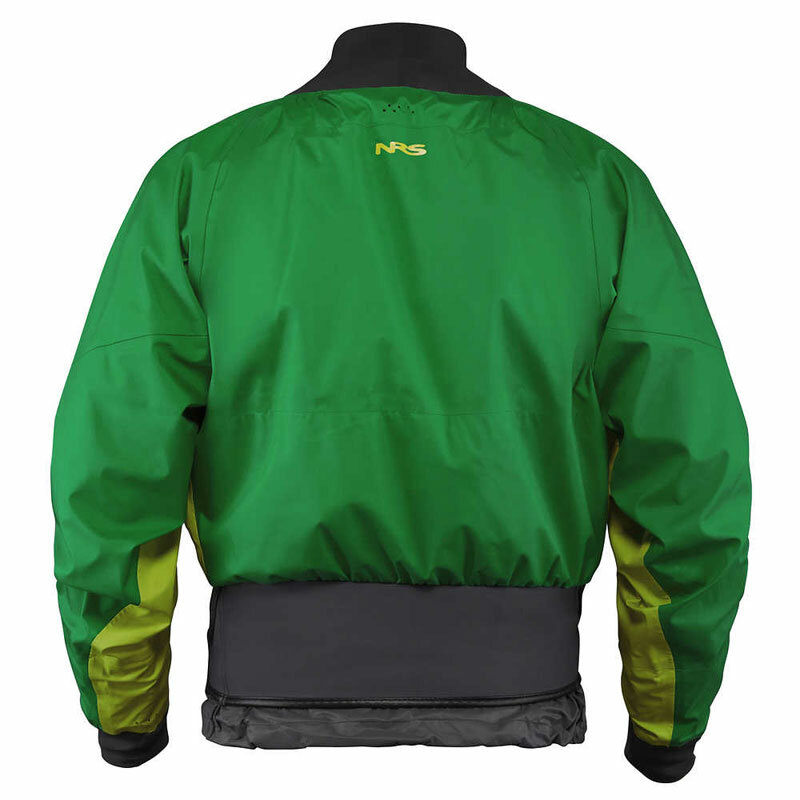 The NRS Flux features a twin waist with a waterproof and breathable inner skirt and a 13cm high double pull outer to lock your spraydeck in and offer a solid seal. 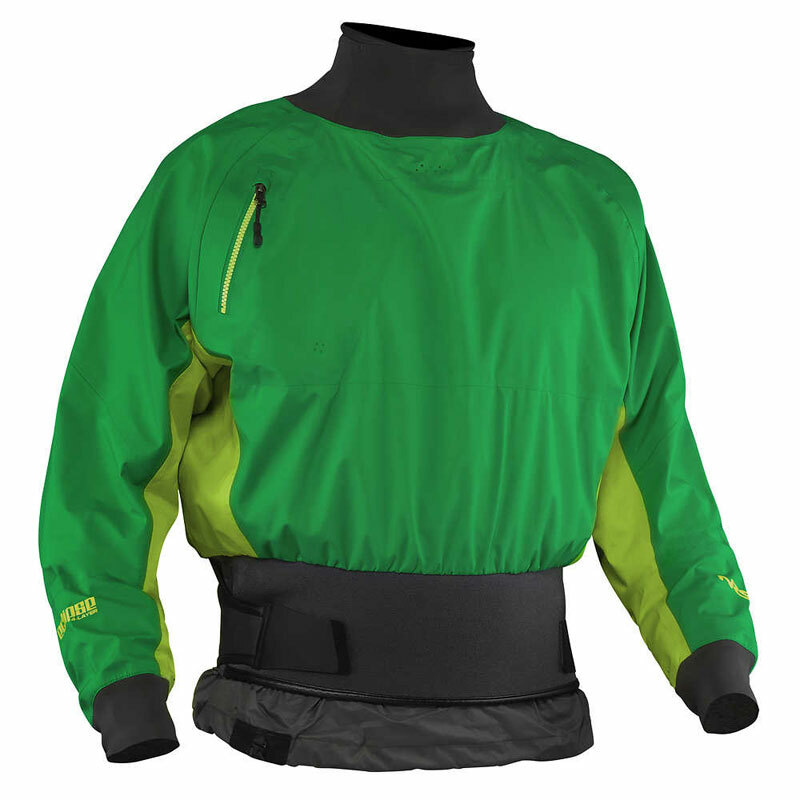 Other features on the Flux drytop include latex neck seal with glideskin neoprene outer and latex wrists with polyurethane overcuffs. 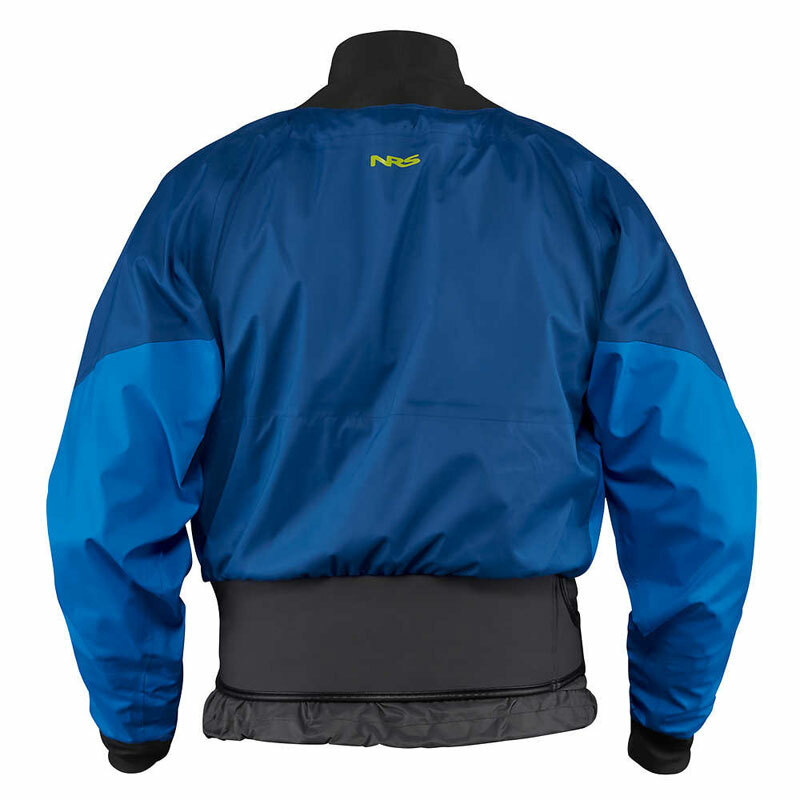 The NRS Flux Drytop is a high performing dry cag suitable for all types of kayaking and canoeing and rafting including playboating, surfing, river running and creeking. 4-layer Eclipse fabric, with its proprietary waterproof-breathable barrier and Nanosphere® DWR finish lock water out while letting moisture escape. The supple polyester microfiber shell allows frictionless paddling with superior resistance to puncture and abrasion. The Flux's action-cut design provides superior comfort and freedom of movement. Waterproof-breathable HyproTex™ inner skirt and 13 cm double-pull waist mate with your sprayskirt to keep you and your kayak's cockpit dry. Tough latex neck and wrist gaskets snug to the skin for a waterproof seal. GlideSkin™ coating inside the self-draining punch-through neoprene neck overcuff adds next-to-skin comfort. Stretchy polyurethane overcuffs with hook-and-loop closures secure the sleeves and protect the wrist gaskets. Sizes S, M, L & XL. We offer a delivery service for the NRS Flux throughout the UK & Ireland to home and work addresses. We will endeavour to despatch all orders for delivery on the next working day. Orders placed on a Friday will be dispatched the following week. Buy a NRS Flux online from our website and collect from our shop at Lee Mill, Plymouth, Devon or you can collect from any branch within the Canoe Shops Group. There is no cost associated with this.